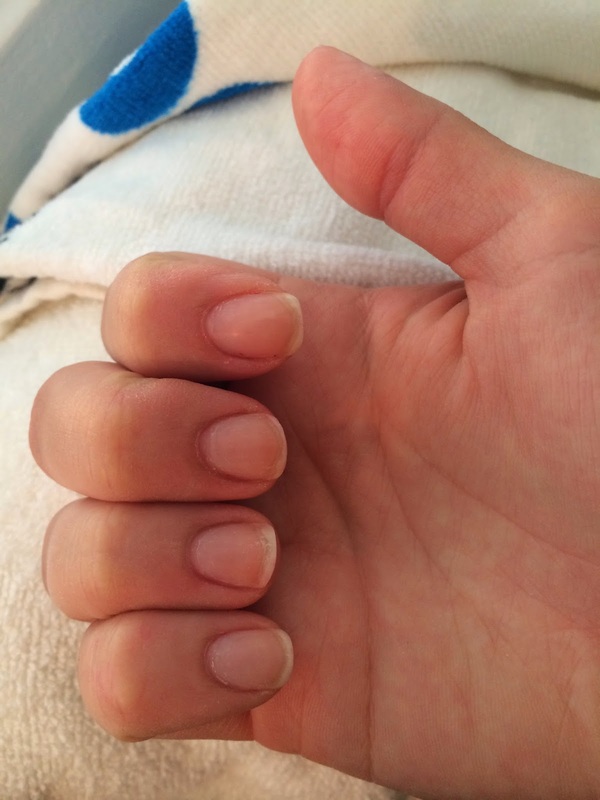 This past winter was rough, and my nails were certainly feeling it by the time spring rolled around. Throughout March, they felt thinner and broke often. By May, I was also suffering from dry, itchy skin, and was desperate for change! The timing was perfect to team up with Eu Natural, who kindly offered me the opportunity to try their Biotin supplement for hair, skin, and nails--learn more from their website here or check out their supplements on Amazon. 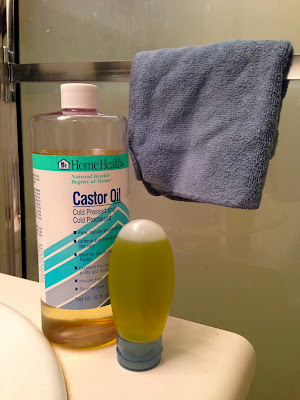 Biotin (a.k.a. Vitamin H, Vitamin B7, and Coenzyme R) is a part of the "B complex" vitamins. As such, it is water-soluble vitamin that helps with the metabolization of amino acids and fats and with the production of new cells and fatty acids. Signs of biotin deficiency may include brittle nails; hair loss; eyebrow or eyelash loss; red scaly rash around eyes, nose, and mouth; conjunctivitis; dermatitis; and lethargy. Hair: "The oral supplement assessed in this study safely and effectively promotes significant hair growth in women with temporary hair thinning" (Ablon Glynis, MD, FAAD). The "hair thinning" was self-perceived by the women, and women with diagnosed hair loss disorders were excluded. Nails: Following an understanding of biotin strengthening animal hooves, researchers investigated its use in strengthening brittle human fingernails. 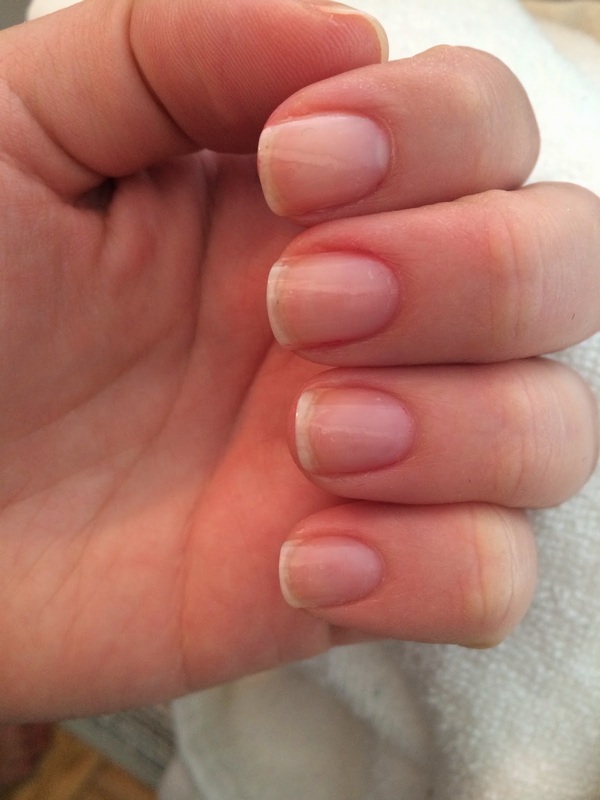 In a controlled trial, a daily dose of 2.5 mg of biotin found nail thickness increased 25% over a period of six to 15 months of use (University of Michigan Health). Type II Diabetes: There seems to be a moderate amount of evidence supporting use of biotin in combination with chromium for controlling blood sugar in type 2 diabetics (Cleveland Clinic). 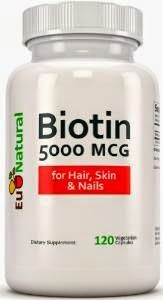 In sum: Although the research thus far is limited and positive effects aren't found in all people, findings suggest that people with thinning hair or brittle nails may benefit from a trial period of biotin supplementation. As more research is conducted, we'll continue to learn more about how and to what extent biotin can truly improve skin, hair, and nail conditions. Are there risks? In short, no. 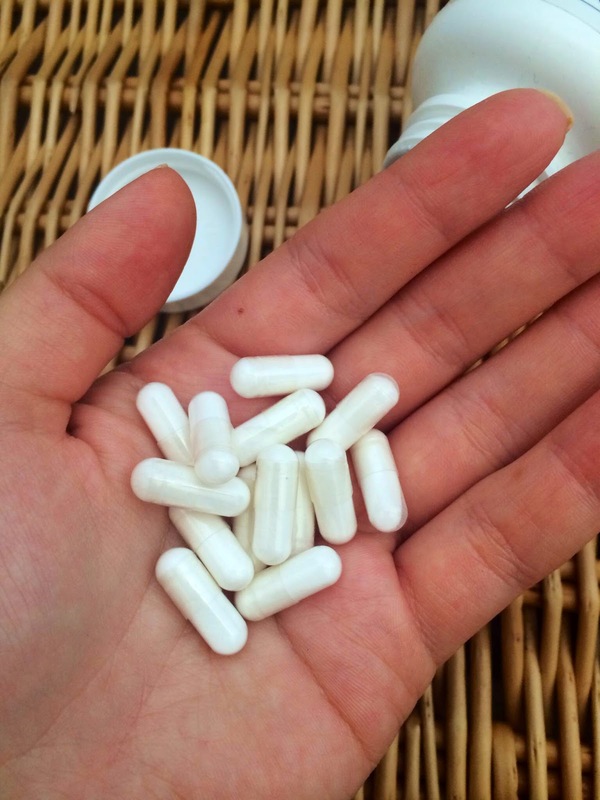 The longer answer: I had trouble finding ANY known risks associated with biotin supplementation, Most sources conclude that the potential for side effects is very low and consider biotin to be safe, well-tolerated, and non-toxic, even at high levels. Only one website suggested a small risk of DNA damage if taken with high doses of riboflavin. All warned, of course, of interactions with other medications, which you should always discuss with your doctor, especially if you're pregnant or breastfeeding. For those still concerned, dermatologist Dr. Susan Stuart suggests keeping an eye out for possible signs of biotin overdose: slower release of insulin, skin rashes, high blood sugar levels, and lower vitamin C and B6 levels. All in all, sounded like it's worth a try! I decided to get started to see if I might experience the benefits found above. Dosage: Most sources recommend around 2.5 mg of biotin per day, so where can we get our daily fill? Biotin can be found in the following foods: liver, egg yolks, sardines, salmon, cauliflower, salmon, carrots, nuts, bananas, mushrooms, and yeast. However, "biotin in food is usually attached to protein and has relatively poor absorption" (WebMD). Alternatively, you can take a supplement, like the Eu Natural Biotin supplement I sampled this spring. My nails stopped breaking, their frailty completely gone. They are so strong, that I went a few weeks without bothering to use polish at all! Every time I did remove nailpolish--even gel polish! !--I was pleasantly surprised by how strong they felt. My hair remained unchanged. Unfortunately, my dry skin persisted, so I've been seeing my dermatologist and am en route to healing with his guidance. But, my nails continue to look and feel their healthiest!! I did it -- so can you! 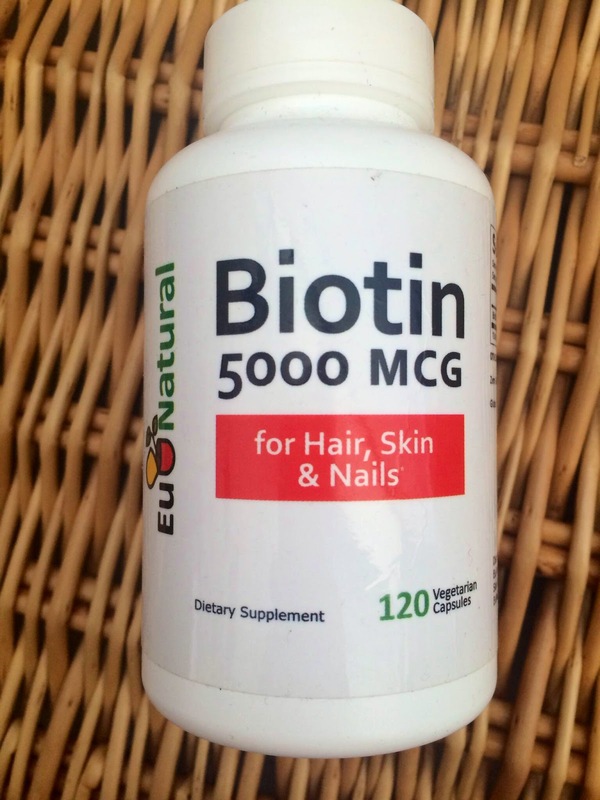 Dare you to... try Biotin! Think you might have a biotin deficiency? 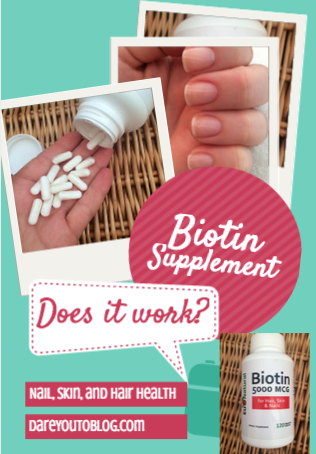 Want to see if Biotin can improve your nail, hair, or skin? Get your own supplement -- Amazon: Biotin 5000 mcg, 120 Vegetarian Capsules (for Hair Growth, Skin, and Nails) -- and let me know if it works for you! As always, consult your doctor before taking a supplement, and be conscious of possible allergies or drug interactions. 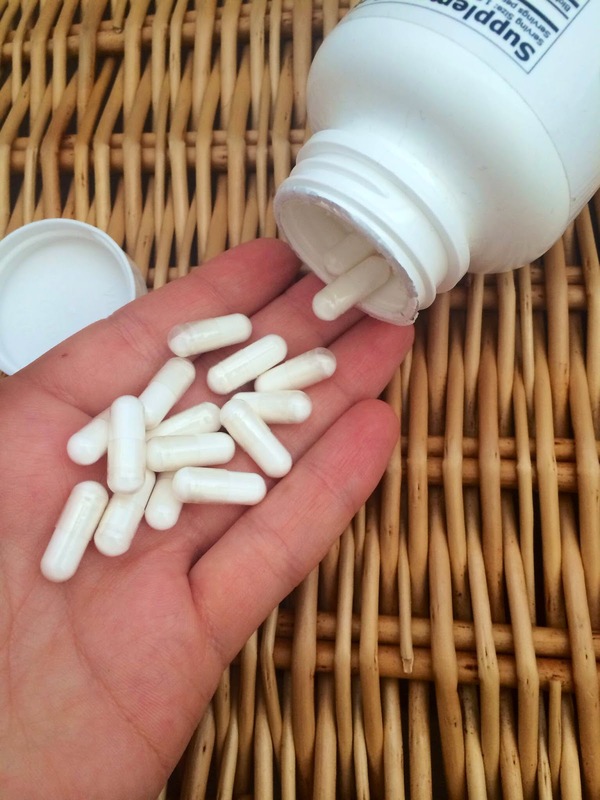 Have you ever supplemented with biotin? 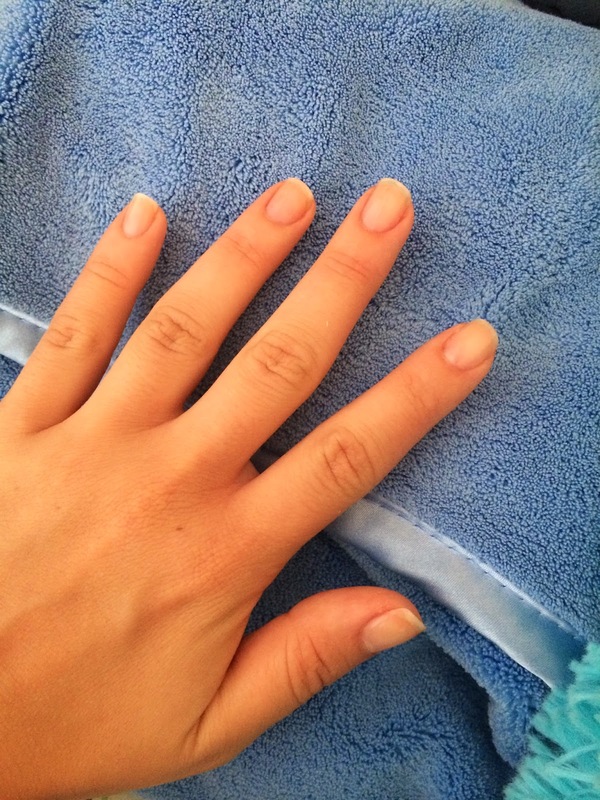 How do you keep your hair and nails healthy? Dislaimer: This post contains affiliate links. Product review and affiliate details are found on the disclaimer page. RUN! And run further. For a good cause.